Difficulty in remembering complicated Passwords? Forget Passwords and Fingerprints now – and get ready to authenticate your online purchases with your SELFIES. MasterCard is experimenting a new app that would let you make online purchases by taking a selfie rather than typing a password, moving a step forward in the mobile payments evolution. This experimental ID Check security system uses the front camera of your mobile phone and "facial recognition" technology to get your payment done with a quick shot of your face. And MasterCard thinks this generation people will love it. "The new generation, which is into selfies...I think they will find it cool," MasterCard President of Enterprise Safety and Security Ajay Bhalla told CNNMoney. "They'll embrace it." How this new feature works? MasterCard will provide you a new mobile app to download in order to use the feature. Hold up your phone – Stare your mirror image inside a designated circle – Blink once – and you are done. But why blinking your eyes? According to MasterCard's security researchers, blinking is the best practice to prevent a criminal from just holding up a snap of you and fooling the security system. 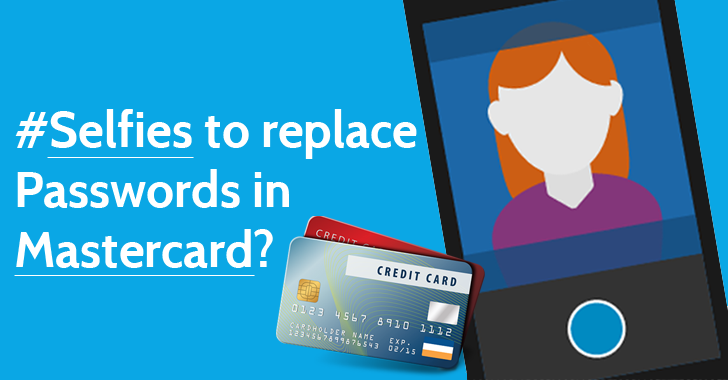 The credit card company said it does not actually capture or reconstruct a picture of your finger or face. All a fingerprint scanner do is creating a code that stays on your device. Similarly, a facial recognition scan will map out the picture of your face, convert it to 1’s and 0’s and then securely transmit that information over the Internet to MasterCard. Bhalla promised that this information remains safe on the company's computer servers and that the company won't be able to reconstruct your face. The payments giant will pilot the new facial recognition system to only about 500 cardholders at first. However, once this new system works out all the kinks, MasterCard will inevitably launch it publicly for everyone.